Smith will become first player to win event in back-to-back years since fellow Australian Robert Allenby in 2000 and 2011 if he retains title on Sunday. Highlights from the third round of the Australian PGA Championship at RACV Royal Pines Resort, where defending champion Cameron Smith took command. Defending champion Cameron Smith will take a three-shot lead into the final round of the Australian PGA Championship after a flawless five-under 67 saw him take command. The home favourite surged into the lead after a second-round seven-under 65 and continued his strong showing at RACV Royal Pines Resort to move to 14 under and three shots clear of countryman Marc Leishman. Smith will become the first player to win the PGA Tour of Australasia event in back-to-back years since fellow Australian Robert Allenby in 2000 and 2011 if he retains his title on Sunday. "The last year I've been playing some really good golf," Smith said. "Probably over the last three days has been some of the best golf I think I've played both mentally and pulling off the shots. I'm feeling really confident and looking forward to tomorrow. "I did a really good job today when I was out of position, just taking less risks and putting myself into the centre of the greens and taking a par. It's what you have to do around here. "There's plenty of birdie opportunities out there and that's what you have to realise and I did a good job of that." 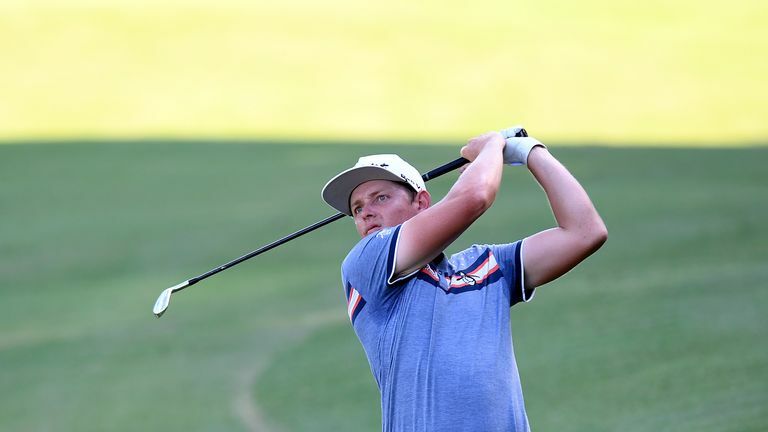 The 25-year-old overnight leader picked up three birdies on his back nine to take command over the field with his nearest rival Leishman four shots clear of Matthew Millar and Harold Varner III in third on seven under par. Leishman, who partnered Smith at the World Cup of Golf last week, saw his only previous European Tour victory come at the Nedbank Golf Challenge in 2016 but he mixed four birdies with one dropped shot to stay in contention. "That's the best I've played all week and the worst score," Leishman said. "A couple of bad breaks and a few putts where I hit good putts and they didn't go in, which happens occasionally. "I'm happy with the day. It puts me a few more back than I would like to be but it's going to be tough tomorrow. I hear the wind is going to get up so that gives me a bit more of a chance. "It's important for me tomorrow to put a bit of pressure on him early and make him think about it and be there or thereabouts with a few holes to go, hopefully." European Tour: What's new in 2019? American Varner made three birdies in succession from the eighth before adding another gain at the 13th only for a double bogey seven at the 15th to halt his momentum, while Millar was blemish-free with a 67. Englishman Andrew Johnston suffered a disappointing one over 73, which included a double bogey at the 15th, to fall back to four under for the tournament and 10 shots behind the leader.